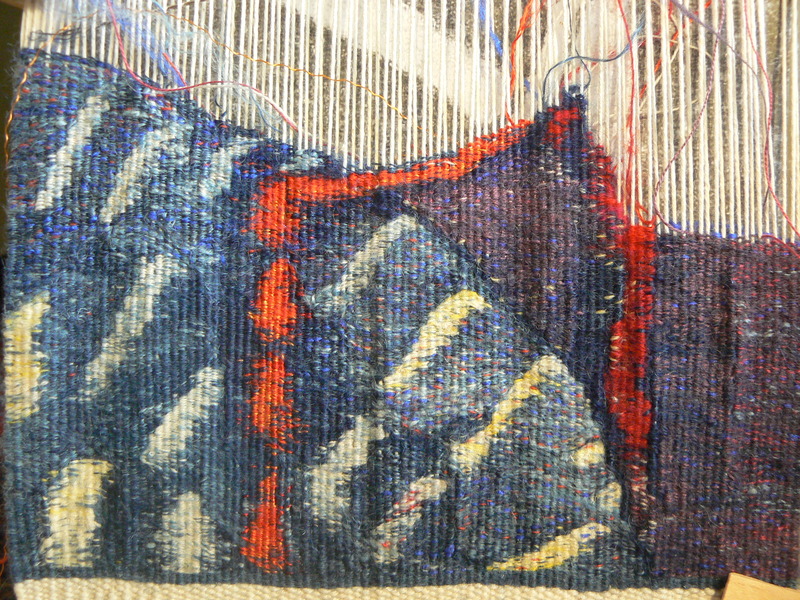 Nearly completed tapestry. 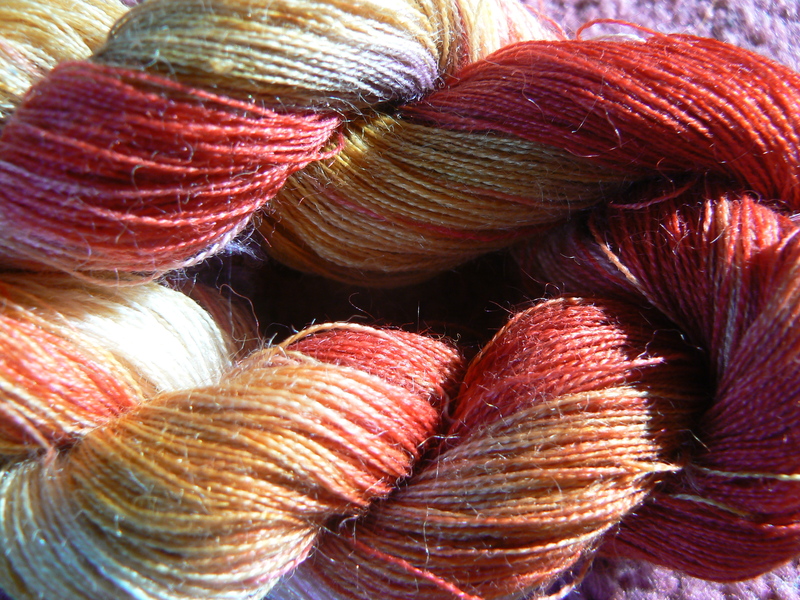 I have really enjoyed using these gorgeous vibrant colours, especially on a a cold dark January day! bananas, leaves, blossom and fruit. 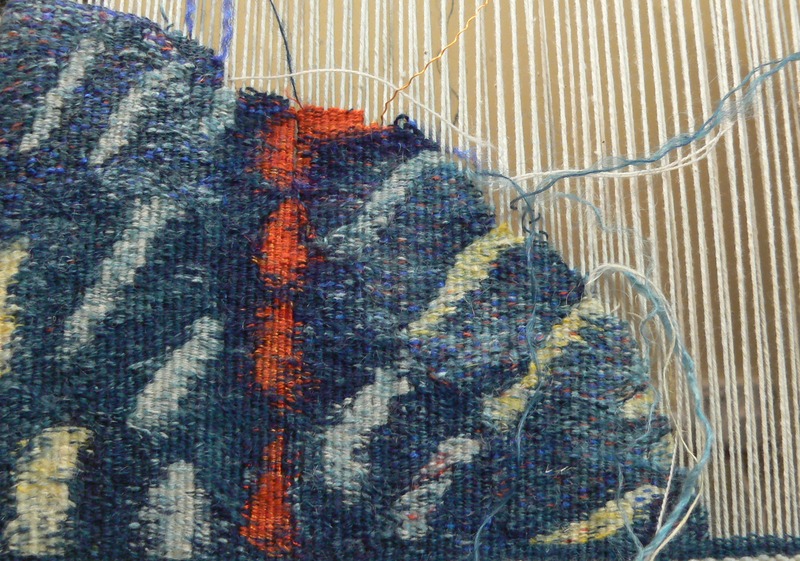 Started weaving the banana leaf shape using the dyed fleece shown above, hand dyed and spun. 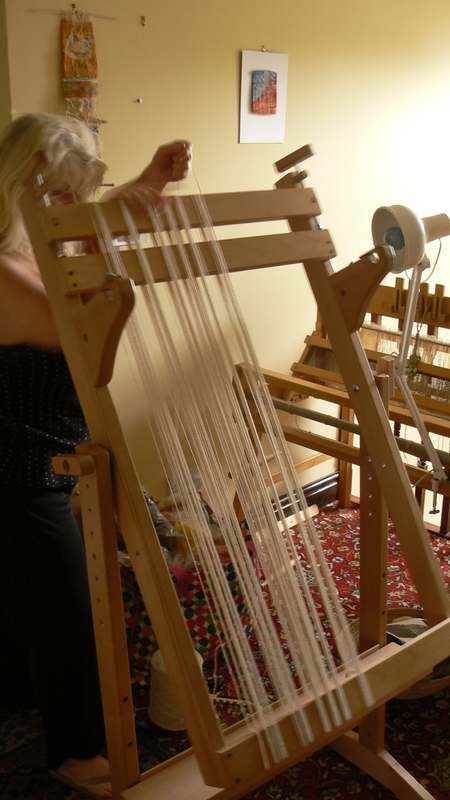 This is the first time I have warped up my new Ashford tapestry loom, its nice and easy due to the rotating mechanism. 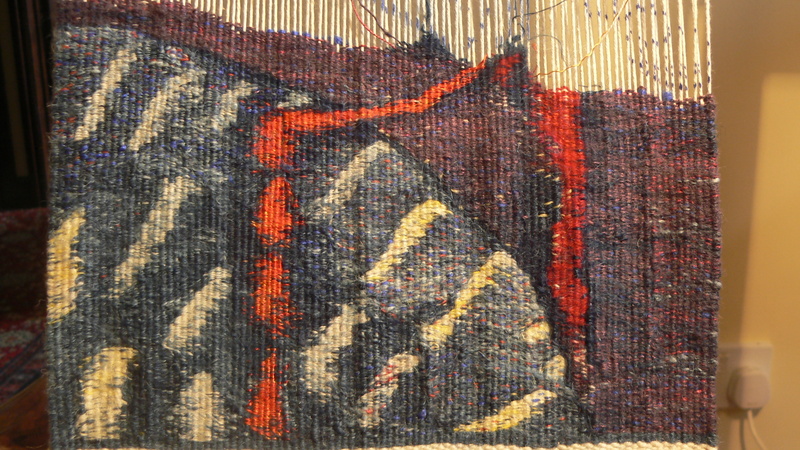 I have completed the cartoon for the next tapestry which will just act as a rough guide for weaving. 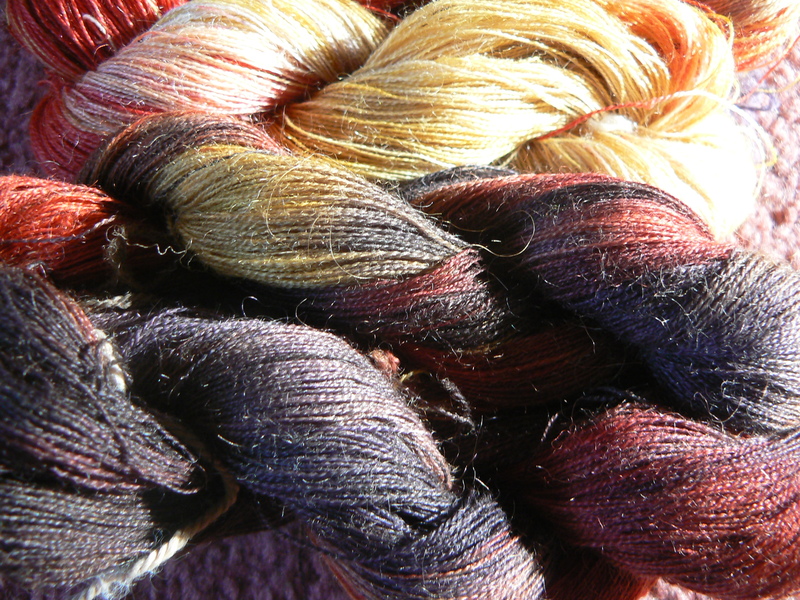 I have also finished dyeing some lovely spring greens and bright reds/purples to start. 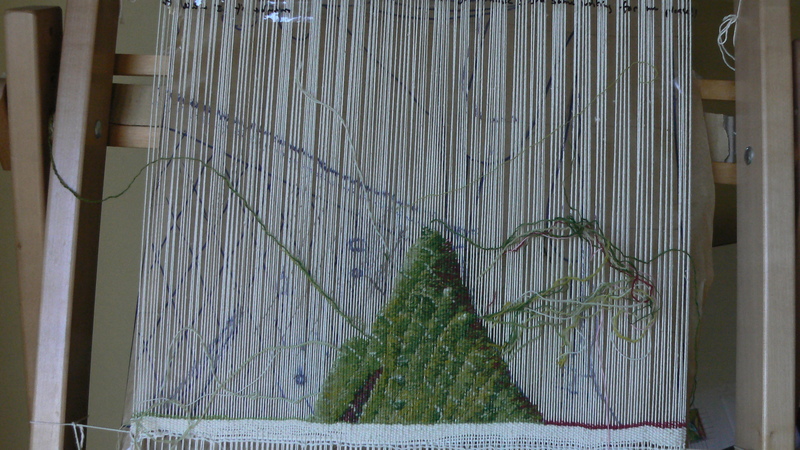 The tapestry will be of banana leaves, fruit and blossom with a lizard in somewhere! 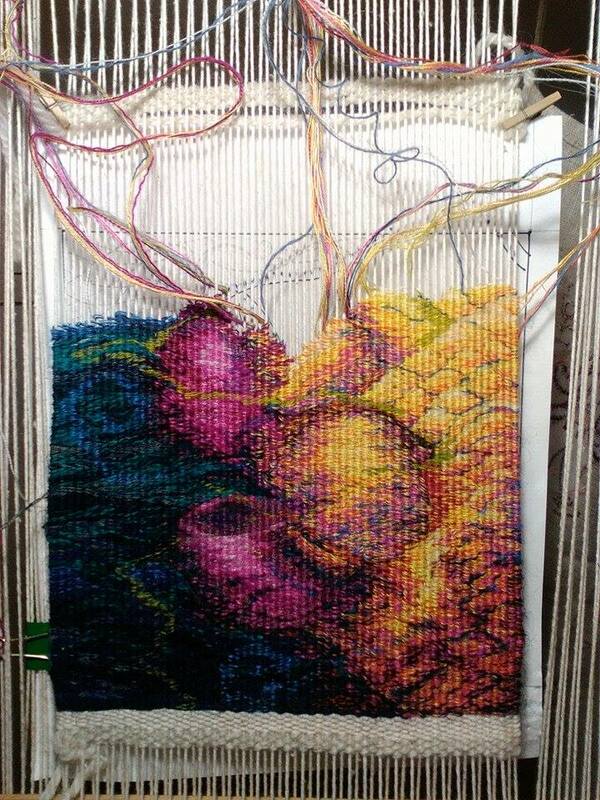 My challenge in this piece is to give an idea of rain and water droplets, the tropical storm kind. 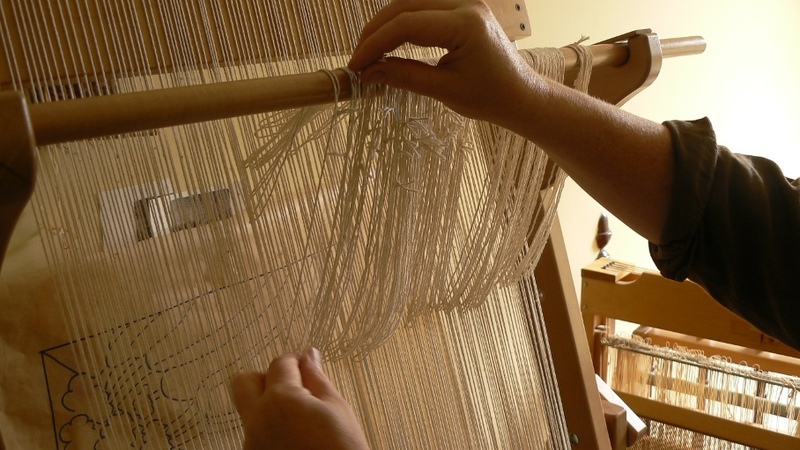 I will take photos as I go so you will be able to see it slowly grow. 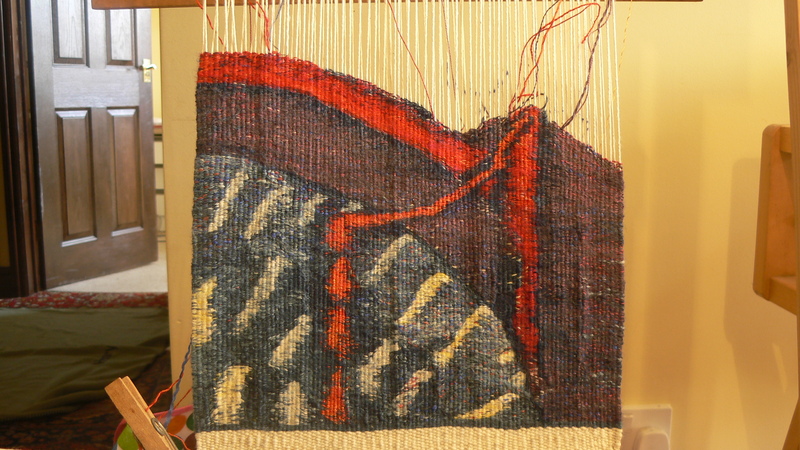 just a few millimetres to go! 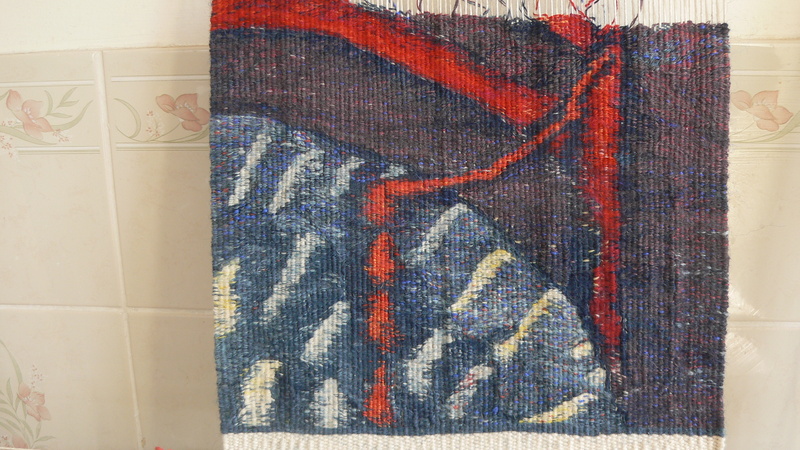 nearly at the end of this tapestry, just a few more centimetres to go……..